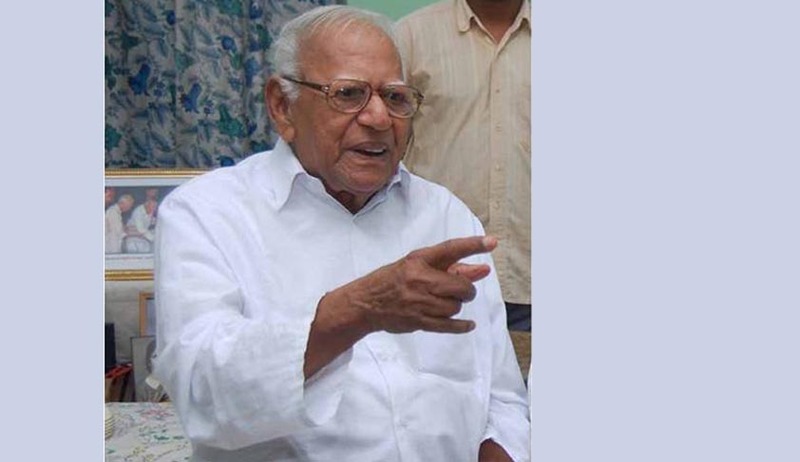 Former Supreme Court Judge Justice V R Krishna Iyer has said that the refusal of three Kerala High Court judges to hear the revision petition in the SNC-Lavalin graft case amounts to breach of duty vested in them. Further, he added that it should invite impeachment or termination proceedings. While expressing shock at the decision of three judges to negate themselves from hearing Lavalin case, he stated that such a move will affect the reputation of the judiciary and right to justice of every citizen in the state. In letters to addressed to Governor Nikhil Kumar and High Court Chief Justice Manjula Chellur, he said that every high court judge is obliged by his oath of office to hear every case posted before him and do justice. The Revision petition filed by T P Nandakumar, chief editor of Crime magazine, has posted his case before the High Court but four judges withdrew from hearing the case. When the petition came up before Justice M L Joseph Francis, he recused himself. Earlier, Justice K Harilal, Justice Harun Al Rashid and Justice Thomas P Joseph had recused themselves from hearing the applications against Vijayan. The petition is still pending before the high court. Meanwhile, CBI has filed a revision petition challenging the verdict by CBI special judge on November 5, 2013, discharging high profile accused in the case, including CPM state secretary Pinarayi Vijayan. The CBI case was that the State exchequer had lost Rs.86.25 crore as a result of a conspiracy involving Mr. Vijayan and the others relating to the award of a Rs.360-crore contract for repair and revival of the Pallivasal, Sengulam and Panniyar hydroelectric projects to SNC-Lavalin, a Canadian firm, during 1995-97.In June 2009, the CBI had filed chargesheets against nine accused including Pinarayi Vijayan. "Vast powers have been vested in judges under the Constitution and they are bound to adjudicate every case posted before them. That is a great duty from which they cannot retreat. Not hearing cases or declining to do justice is breach of the solemn obligation vested in them. To default or decline to exercise this sublime power is to invite impeachment by Parliament or dismissal by the President. In this case, the three judges decline to hear the case and refuse to perform their duty to do justice," he said in his letter.